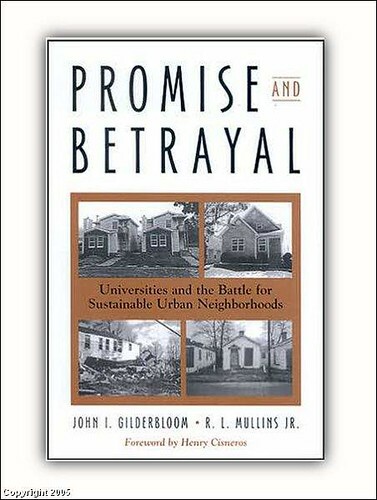 Promise and Betrayal, by John Gilderbloom and Ron Mullins. Last year's National Trust for Historic Preservation conference was held in Louisville, Kentucky. I went out a couple days before the conference and was graciously taken around a number of interesting housing projects by Professor John Gilderbloom of the University of Louisville. 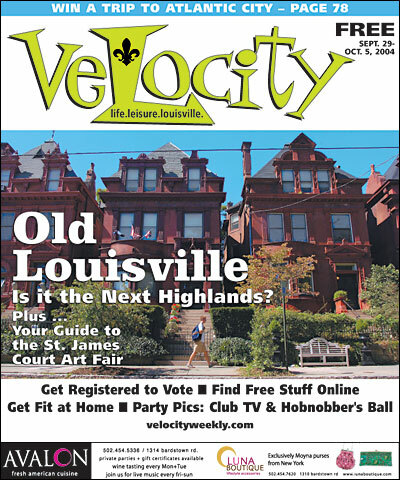 Some were projects initiated by the Sustainable Urban Neighborhoods program of the University of Louisville (a program which Dr. Gilderbloom started) in some of the more economically challenged parts of the city, and others were stops on the AIA house tour, which happened to occur the day before the conference started. Louisville has plenty of currently empty land in the core, yet large subdivisions (inlcuding the new urbanist development Norton Commons) are being built 10-20 miles from the city center. Dr. Gilderbloom has just published a book about his experience linking the University of Louisville to housing production and neighborhood stabilization activities in the Russell neighborhood. It's discussed in this article, "Book tells of U of L ties with inner city: Co-authors analyze Russell redevelopment." 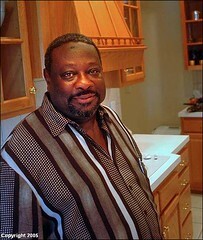 When the SUN program started, they built and sold houses for less than $70,000. Ten years later, these houses have doubled in price, and today houses are being built at market rates. According to the article: "Promise and Betrayal" mainly recaps the 10-year initiative to revitalize Russell. But it is dense with academic facts and not light reading -- 215 pages, six of them scholarly references, in addition to name and subject indexes. But Gilderbloom and Mullins make the case that few institutions of higher learning apply their knowledge and resources directly to the problems of poverty and housing in their midst. Thus, the reference to "Betrayal" in the title. They write, "Traditionally, universities avoid substantive involvement in inner cities because success is difficult. Yet if universities are so knowledgeable, then one wonders why many surrounding neighborhoods of those institutions are filled with hopelessness and despair. In ten years of community building in Louisville and elsewhere, we found that most academics fail to address, much less solve, inner-city problems." It sounds like an important book that I need to add to my reading list. The historic Trolley Barn Complex in the heart of the Russell neighborhood--named for Harvey Clarence Russell, a distinguished Black educator who lived in Louisville in the 1920’s--is being converted into the Kentucky Center for African-American Heritage. The under construction site was the location of the African-American Heritage Preservation reception during the conference. This article also from the Courier-Journal, "Urban living guides city's housing plan. Report shows needs changing; home developers to be courted," discusses new plans for housing development in the core of the city. Mayor Jerry Abramson is launching a major initiative to rebuild older neighborhoods and steer home developers toward more condominiums, townhouses and row houses. The reason is simple, Abramson said: Louisville, like the rest of the nation, is undergoing a major demographic shift. Baby boomers are retiring and no longer need large suburban homes. Younger people -- especially those marrying later and forgoing children -- are choosing to live in urban areas. "It's a new day and a new way," said Bruce Traughber, secretary of the metro government's Cabinet for Community Development. Some of the changes, such as the city working with homebuilders to encourage them to build in urban neighborhoods, will begin immediately. This is the first of a series of articles in the Courier-Journal about the city-county government's new strategy for revitalizing core city neighborhoods. I'll have to go back and dig up these articles. There's a lot more going on in Louisville than you may imagine. There's quite an arts and culture scene, and amazing buildings, although the preservation community has suffered some defeats. It's also close to Lexington, home of the University of Kentucky, which has a great historic preservation program, and the state capital, Frankfort. Kentucky's State Historic Preservation program and the Main Streets program are best practices examples. Old Louisville is an amazing neighborhood, with huge houses (Dupont Circle sized) at relatively "cheap" prices compared to DC--amazingly beautiful rehabbed 10,000+ s.f. homes for $800,000 (at least last year).